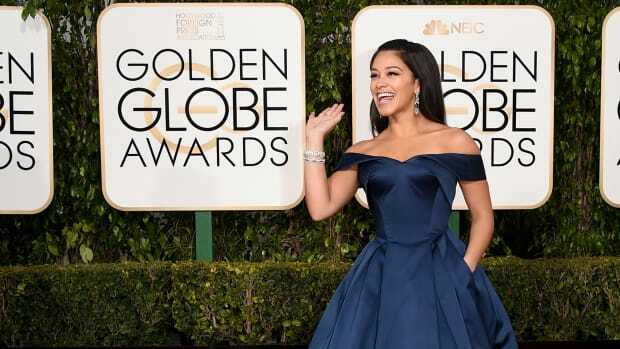 As many of us huddled in our homes still hiding from snow, Sunday night’s Golden Globes red carpet was bustling with Hollywood’s hottest stars. Highlights of the night’s attire included pops of yellow, a few feminine tuxedos, and a lot of embellishments. While some of the ensembles were worthy of top honors, other looks will have to make like Leonardo DiCaprio and keep trying for that “best of” award. Here, though, are the sartorial winners from the awards show action. 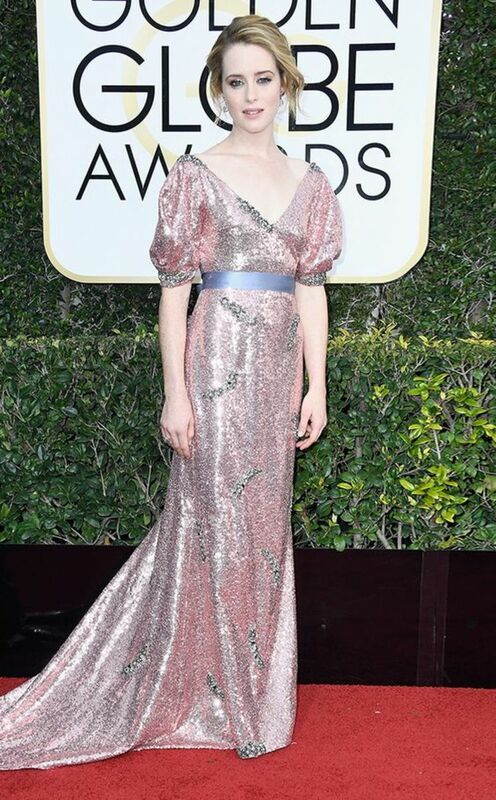 Claire Foy, winner of best actress in a drama series for The Crown, graced the red carpet in Erdem last night. Not completely out of character from her portrayal of Queen Elizabeth II, Foy’s dress was certainly worthy of royalty. The Victorian silhouette received a modern update with head-to-toe sparkles, and we couldn’t be more in awe. 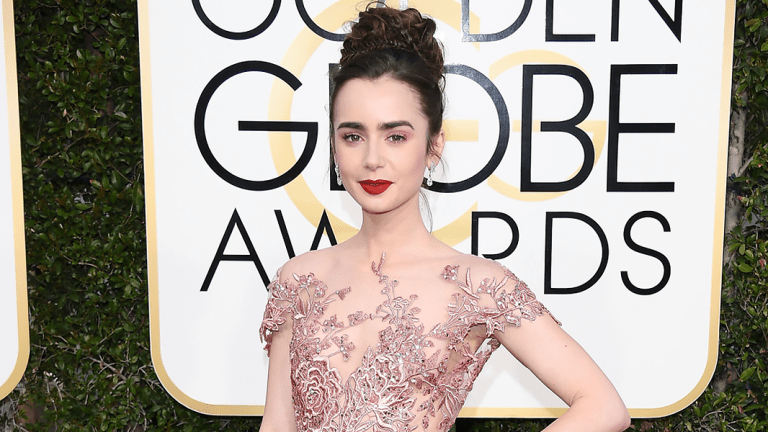 Lily Collins never fails to stun us in her couture red carpet selections. This voluminous Zuhair Murad gown was nothing short of breathtaking with its extravagant layers of tulle and embroidery complemented by her pink beauty look. As a first-time nominee (for her work in Rules Don’t Apply), the 27-year-old actress was dressed to win—the style awards, at least. Art deco of the 1920s meets outer space couture in Loving star Ruth Negga’s look. This silvery Louis Vuitton gown was an unexpected jaw-dropper with its unique short sleeves and zipper details. 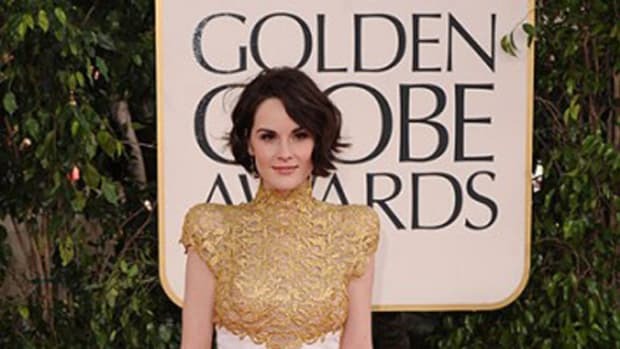 When ball gowns typically dominate the red carpet, we always welcome a wild card. 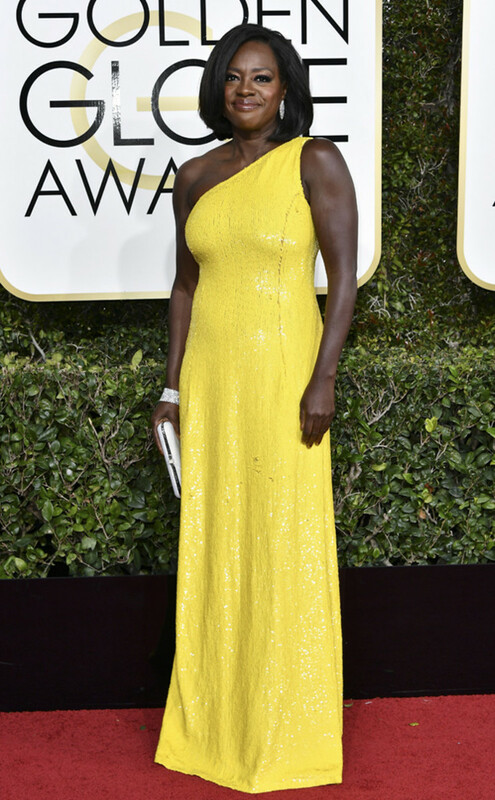 Leave it to Viola Davis to pull off neon yellow. The Fences star never fails us on the red carpet, almost always choosing gowns in refreshing colors. While this Michael Kors number is clean and simple, it’s definitely a bold statement maker. Only a truly confident woman could pull off this dress, and with her speeches last night, Davis proved she’s just that woman. Speaking of unexpected looks, Teresa Palmer evokes an Old Hollywood Bette Davis in this velvet Armani Privé gown. While the luxurious velvet is enough to make us swoon, it’s the glamorous cap sleeves that have this dress going in our top five looks of the night. 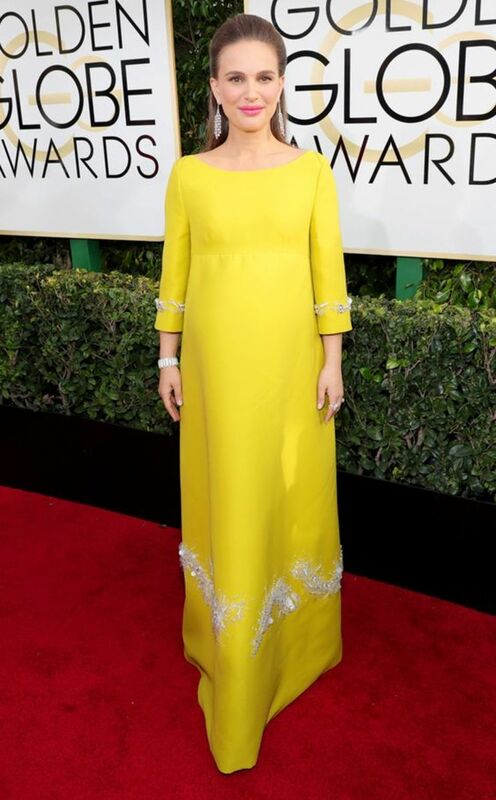 It’s tough rockin’ the baby bump on the red carpet, so we’ve got to give Natalie Portman some props for making this bright yellow Prada dress work. We’re definitely getting some serious Jackie vibes from this look—how fitting.